In the last week, bees have formally been listed as an endangered animal for the first time. With over 20,000 different species of bees, it’s truly heartbreaking to hear that these insects are endangered. From the pollination that they provide to flowers to the honey that they create, there are plenty of ways that our population benefits from this insect. Unfortunately, they are often recognized for an insect that can sting and cause pain. In reality, these insects offer more benefits than downfalls. For that reason, we’re dedicating today’s blog to methods that can help save the bees. There are certain types of plants that allow for bees to thrive. When bees are pollinating flowers, they will often travel miles from one plant to the next. While not every house can have the right plants and foliage for bees to form a hive, having a garden that is loaded with flowers to feed bees is something we can all make an effort to do. When bees have enough forage, they’re able to create more honey — allowing them to make it through the colder seasons of the year. The best part about planting forage for bees is that there is so much opportunity in regards to what you plant. Here are a few examples of what you can plan to help provide forage for bees. Beekeepers are the common link between the insect and the part they play in our society. That being said, it’s the local beekeepers in the community that need our support the most. By providing them with the support that they need, they can provide their bee culture with everything that it needs to thrive and grow. Whether it’s purchasing local honey, donating to a local beekeeper, or starting a colony of your own — support local and you will help your local bee colony. As you may have guessed, pesticides aren’t exactly a key component when it comes to saving the bees. While pesticides may seem like a solution to keeping other pests out of your garden and out of your home, pesticides are also to blame for endangered insects in the first place. For that reason, we suggest that you stay away from the pesticides this year and in the years to come. At Earthwise Pest Management, we take pride in knowing that the pest management solutions that we offer our customers are free of pesticides unless absolutely necessary. By looking at the other parts of the equation, we are able to safely remove pests while providing a long-term solution and avoiding the pesticides that put other pests in danger. We mentioned earlier that bees are often recognized as being an insect that sting. While there certainly are species of bees that can sting, most bees are simply looking to get their job done and be on their way. Though it can be a little bit nervewracking and scary to have bees fly around you, take a second to calm yourself down and let them do their thing. Avoid swatting or killing them seeing as how this contributes to the endangerment of the bees. When you can, share this knowledge with those around you so that they too can avoid swatting and hurting bees out of fear. At Earthwise Pest Management, we are dedicated to providing our customers in the Sacramento area with the results and long-term solutions that they need to remain pest free. While that is the case, we are still enthusiasts and passionate about many of the insects and want nothing more than for them to thrive — outside of your house, that is. We hope that you’ll join the cause to support bees and help get them off the endangered animal list. It’s devastating that this is the case and, with a combined effort, we can be the change! 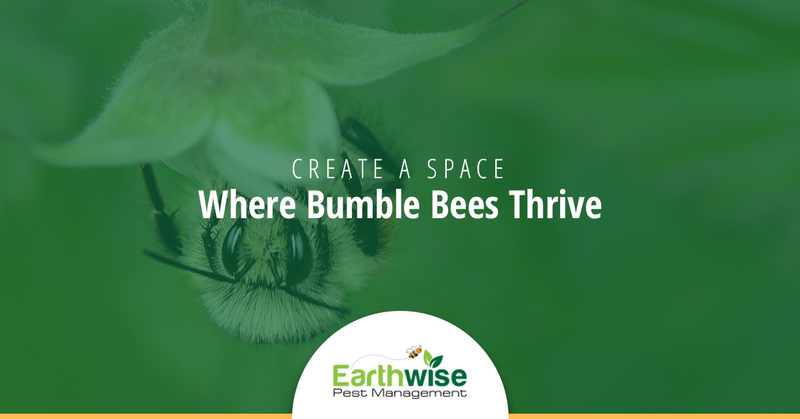 Share this blog post with friends, family, and anyone that you come in to contact with so that our planet can save the bee species that has been around for millions of years.